SANTA CLARA, Calif. and KAISERSLAUTERN, Germany, April 9, 2019 — E8 Storage and ThinkParQ announced a technology partnership to enable the integration of the leading parallel cluster file system, BeeGFS, with E8 Storage’s NVMe-oF solution. The combined solution will offer customers new levels of improved performance and scalability for data intensive workloads. With the combination of E8 Storage’s RAID functionality and ThinkParQ’s BeeGFS file system, customers can scale out by adding as many nodes as needed to meet or exceed capacity requirements. 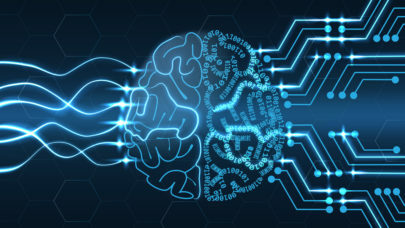 The collaboration and synergy of the partnership will deliver high availability, reliability and ease of consumption for use in AI, HPC or other markets where very large volumes of data need to be processed at high-speed. Delivered by ThinkParQ, BeeGFS is the award-winning open-source parallel file system deployed by thousands of users around the globe. Integrating BeeGFS with E8 Storage’s NVMe-oF solution will enable customers to streamline their I/O patterns for small and large files, providing direct access to data at improved speeds. “Combining E8 Storage’s NVMe-oF offering together with BeeGFS will enable our customers to take advantage of even more state-of-the-art technology, which will provide an even more powerful platform, that will increase the performance compared to the classical approach in leveraging NVMe,” said Frank Herold, CEO ThinkParQ. For more information on E8 Storage solutions, contact us at info(at)e8storage(dot)com. E8 Storage is a pioneer in shared NVMe storage for data-intensive, high-performance applications that drive business revenue. E8 Storage’s affordable, reliable and scalable solution is ideally suited for the most demanding low-latency workloads, including real-time analytics, financial and trading applications, genomics and large-scale file systems. Driven by the company’s patented architecture, E8 Storage’s high-performance NVMe-oF certified storage delivers record breaking performance at half the cost of existing storage products. When performance matters, enterprise data centers turn to E8 Storage for unprecedented storage performance, density and scale, without compromising on reliability and availability. Privately held, E8 Storage is based in Santa Clara with R&D in Tel Aviv, and channel partners throughout the world. ThinkParQ was founded as a spin-off from the Fraunhofer Center for High-Performance Computing by the key people behind BeeGFS to bring fast, robust, scalable storage solutions to market. ThinkParQ is responsible for support, provides consulting, organizes and attends events, and works together with system integrators to create turn-key solutions. ThinkParQ and Fraunhofer internally cooperate closely to deliver high-quality support services and to drive further development and optimization of BeeGFS for tomorrow’s performance-critical systems. Visit http://www.thinkparq.com for further information.